If you are moving your family to Del Mar, CA, you will love living on the beaches of San Diego County, CA. The city’s name “Del Mar” translates from Spanish into either “by the sea” or “of the sea” which since the town sits on the shores of Pacific Ocean Makes sense. Whether this is your first move or one of many, you need cross country movers you can trust to deliver your household goods to your new home on time and in perfect condition. With experience in both long-distance and local moves and climate-controlled storage available at both ends of your move, you can always count on us to deliver the best possible service. 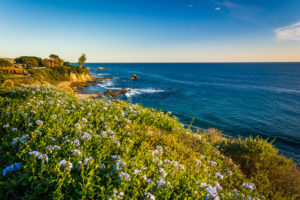 With a population of just over 4,000, Del Mar is a quiet community that started to be a seaside resort for only the rich and famous in 1885 when Colonel Jacob Taylor purchased the initial 338 acres. Of the many things to do in Del Mar, the Del Mar City Beach has to be at the top of the list. The beach is kept clean and has lifeguards on duty during the day making it the perfect place to spend a little time in the surf. There are family friendly and dog-friendly sections of the beach making it fun for everyone. At the Del Mar Race Track, you can watch the horse races, spend a little time trying your luck in the casino, or catch a concert. At the Del Mar Plaza, you can shop and dine in a unique environment full of boutique stores and haute cuisine. With so many cross country movers plying the roads of America, it can be hard to know which of them you can count on. At Matheson, we have been helping families mover across the country and around the world for over 70 years. When you are ready to stop looking and trust your possessions with one of the top cross country movers in North America, contact Matheson Transfer at (858) 256-4808 and let us arrange for your free no-obligation estimate from one of our moving experts today!